For business or pleasure, this high-quality and easy-to-use WXGA , 3.500 -lumen Bright Ultra Short Throw projector works equally well at education environments or at Education . 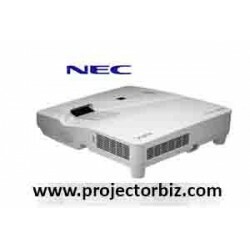 NEC’s UM352W is a bright 3500 lumen projector that provides a complete interactive solution with built-in whiteboarding, advanced collaboration capabilities, auto set-up and content delivery over wired or wireless LAN. With its ability to be mounted to the wall directly above the screen on which it projects, this model helps eliminate the shadows and glare typically found with standard projection systems. Any flat surface can instantaneously be transformed into a digital whiteboard where participants can share information and annotations from computers, tablets and smart phones from within the room or remotely. Concurrently, the UM352W can be used to control and annotate over any PC software. 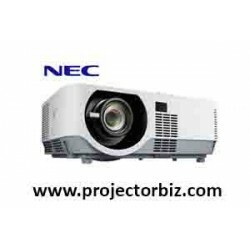 You can buy NEC NP-UM352WG online in Malaysia on www.projectorbiz.com, the best price and after sales services.